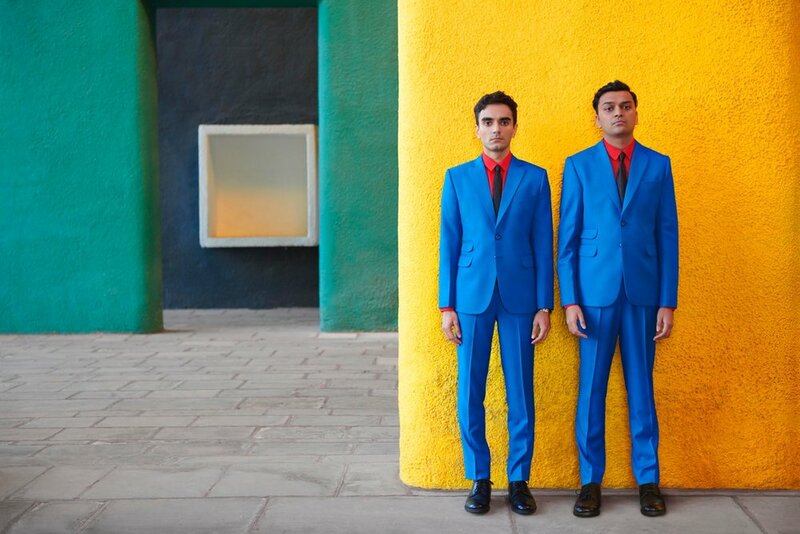 Parekh & Singh have just released the video for their latest single ‘Hello’, ahead of their new album due out the 26th April. The duo speak to us in more detail about the visuals of the video. The video for your track ‘Hello’ is out now, where was it filmed? Who directed the video? The video was filmed at Openhouse, a modular co-learning space in Kolkata. Misha Ghose directed the video. This was our first video with an extended cast. We planned meticulously and practiced a lot. Despite that, a lot of the action only came together during final rehearsal with the actual camera on the night of shoot. The smooth single-shot look was infuriatingly hard to execute! On the flip side, we were in a comfortable indoor environment, so this shoot was not nearly as physically exhausting as our other shoots have been. It look’s like it is done in one shot? How many takes did it need to get it right? It took about 30 takes to make it look like it was done in one shot! How does the video link in with the song? The video is a swift journey through Parekh & Singh headquarters. A team of technicians is diligently at work, creating the components of the song. Simultaneously, components of their reality are being generated by the very song they are assembling. We are delighted to be able to give you an exclusive look.